The Relative Strength Index (RSI) was developed by J. Welles Wilder and is a momentum oscillator that identifies overbought and oversold conditions. It is also a popular choice for many traders helping them find entries into the market. The simplest way to use the Relative Strength Index is to wait for an overbought or oversold condition and then enter into a trade when the RSI indicates that price is resuming in the dominant direction of the trend. Buy signals: For the first condition to be met the RSI must have a reading of below 30 suggesting that the market is extremely oversold. The indicator then waits for price to cross above the 30 line suggesting that the bulls are regaining control. Sell signals: The opposite is true for our sell signals. A sell signals occurs when the RSI becomes overbought (a value above 70) and notifies you when the value crosses below 70. 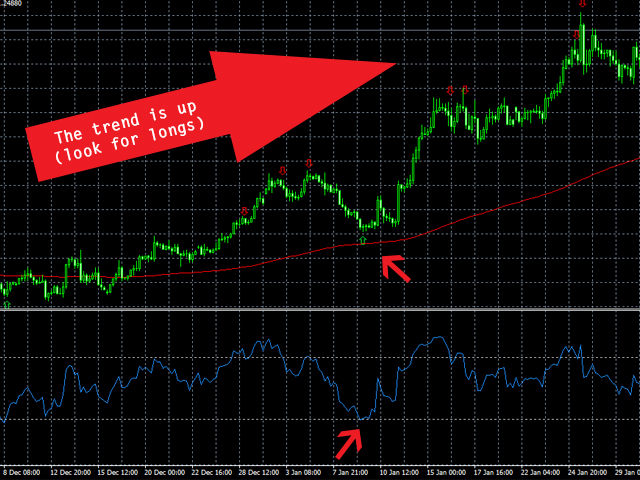 RSI_Period: The lookback period of the RSI indicator (the default is 14). Send_Email: The indicator will send a notification by email. 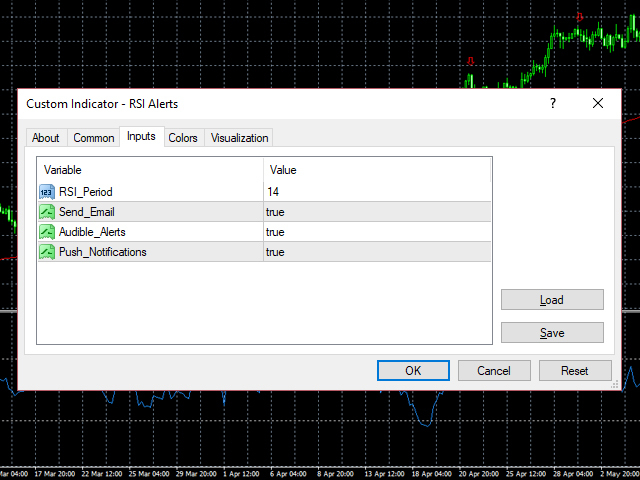 Audible_Alerts: Standard notification via the MetaTrader 4 'Alert' window including sound. Push_Notifications: The indicator will send a push notification to your smartphone via the MetaTrader 4 iOS/Android app. This very simple indicator was designed to save you hours of screen time by alerting you once these conditions have been met. You should then apply some additional analysis before deciding whether to enter into a trade. 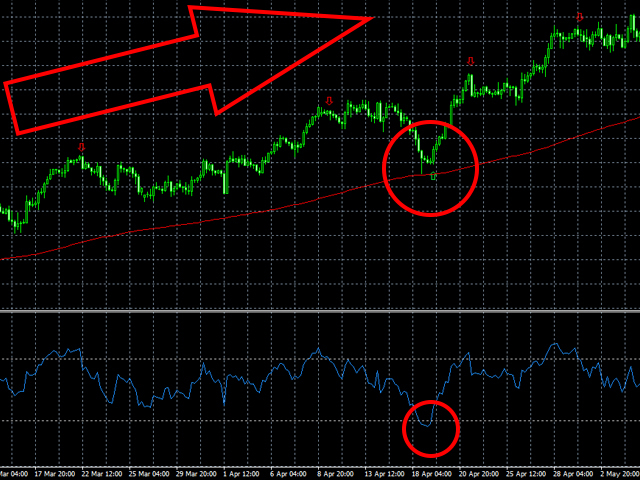 For example, trend analysis can filter our many of the false signals that the RSI indicator may give you. You may have another indicator or additional skills to improve the accuracy of the RSI alerts indicator. Configuration for Email and Push notifications can be configured by going to menu Tools → Options. Always apply your own additional analysis before entering into a trade. No single indicator can trade the market for you. You can combine these alerts with your favorite indicator to save you many hours of screen time. 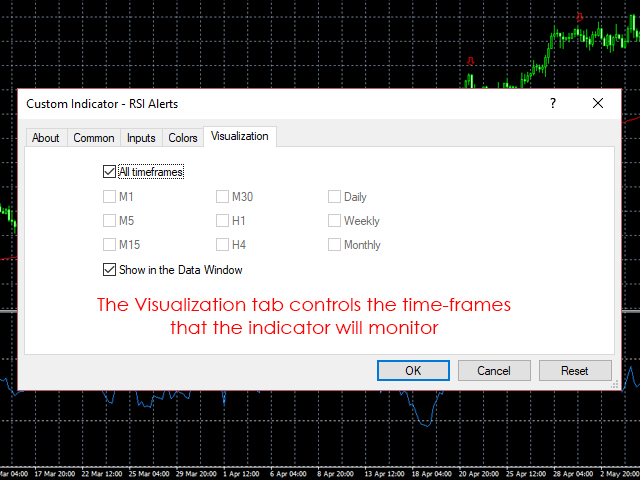 You can control the timeframes that are being monitored by the indicator by using the visualization tab (only the timeframes selected will be monitored). Decreasing the RSI period will produce more signals however this will have a negative impact on the accuracy of the indicator. The opposite is also true - increasing the RSI period may increase the accuracy of the indicator however this will produce less signals.